Inwood, the northernmost neighborhood of Manhattan, has a rich yet little-known history. For centuries, the region remained practically unchanged--a quaint, country village known to early Dutch settlers as Tubby Hook. The subway's arrival in the early 1900s transformed the area, once scorned as "ten miles from a beefsteak," from farm to city virtually overnight. The same construction boom sparked an age of neighborhood self-discovery, when vestiges of the past--in the form of mastodon bones, arrowheads, colonial pottery, Revolutionary War cannonballs, and forgotten cemeteries--emerged from the earth. Waves of German, Irish, and Dominican immigrants subsequently produced a vibrant urban oasis with a big-city/small-town feel. 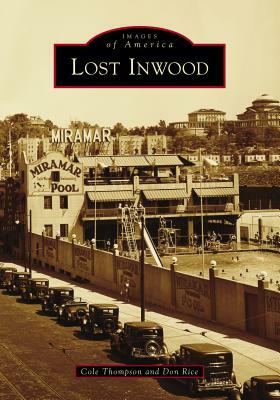 Inwood has also been home to wealthy country estates, pre-integration sports arenas, and a lively waterfront culture. Famous residents have included NBA legend Kareem Abdul-Jabbar, Basketball Diaries author Jim Carroll, and Hamilton creator/star Lin-Manuel Miranda.